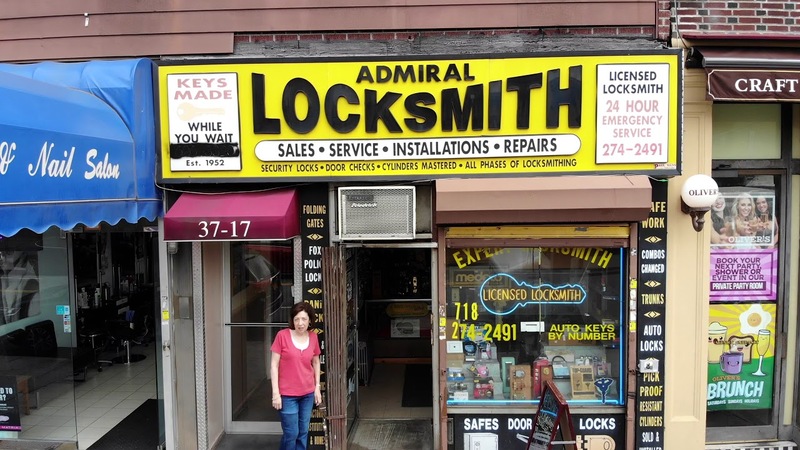 Admiral Lock & Key Locksmith business Serving Queens and New York since 1952. Admiral Lock & Key is a Family Owned and Operated Locksmith business Serving Queens and New York since 1952. If you are looking for a Reputable Locksmith Service, LOOK NO FURTHER! We are Here To Help You! Replacement spring hinges are expensive. But for just a little more money, you can buy a high-quality hydraulic door closer. If you’re locked out of your car you can always count on us to come to your rescue with a prompt 24/7 solution. You can always reach us and Automotive lockouts are our specialty. If you need a car ignition key replacement service, look no further. Our professional locksmith staff will assist you in the maintenance of our high-quality security products and will make sure that you are fully protected against any unwarranted entry. Our locksmith service includes residential, commercial and institutional, product sale, service, and installation. Servicing commercial businesses and offices in the Queens and New York City area, Admiral Lock And Key provides a multitude of corporate locksmith services to bolster security in your office or building. We are dedicated to our locksmith service and clientele, and our endeavor is to promote assurance and quality. Our locksmiths are experienced and available 24/7 at your request. The job was done perfectly. I really appreciate how you installed my door locks! Thank you!!! We called another locksmith and they never came! You saved us!! I Liked the way you guys treat your customers in the store! Thank you!! Thanks for the quick and professional service! I was happy to know about how my locks work! Locksmith © All rights reserved.